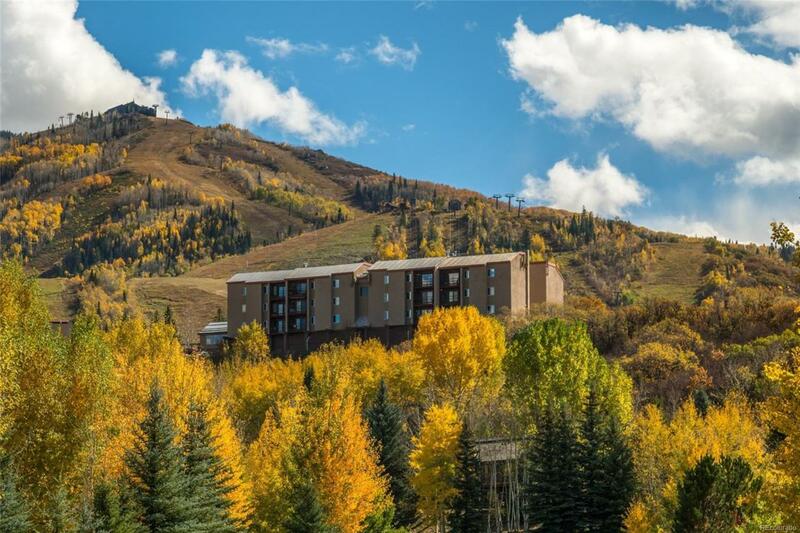 Top of the world views of the Steamboat Ski Area from this remodeled 3 bedroom plus loft, 3 bath Ridgecrest condo complete with covered carport parking and storage. Minutes to the Rollingstone Ranch Golf Club and all the activities in Steamboat, this condo is a fantastic spot from which to launch all your Steamboat fun. Beautifully updated with stainless steel appliances, slate floor, cabinetry, newer fireplace with tile surround, vinyl plank flooring in the loft and blackout up-down shades. In addition to 3 bedrooms and 3 baths, the upper loft acts as a second family room or sleeping area for overflow guests. Sit on the deck and enjoy the scenery or cozy around the gas fireplace. Covered parking is a plus in this price range and the additional storage by your parking space allows you to store bikes, skis and other toys. The clubhouse/hot tub deck is being revamped so you can sit and enjoy the view while soaking or gather with friends for a barbeque.